From value-priced infrared flash cure units for manual screen printing presses to triple-zone instant-on quartz flash cure units for automatic screen printing presses, M&R has a flash cure system for every application and every budget. Some M&R flash cure units can automatically shut off the flash when the substrate reaches operator-set temperature and some flash cure systems can be electronically linked together on the same press for multiple-flash unit curing. M&R’s Blu-Flash™ is an unbelievably affordable infrared flash cure system. It features a powerful infrared radiant panel for rapid, consistent curing performance and outstanding durability. 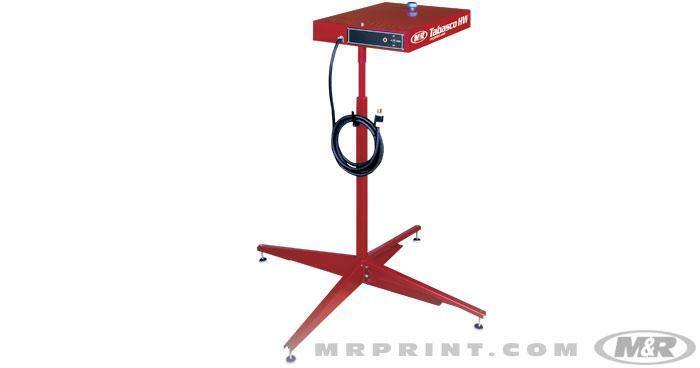 A variable-percentage (1-100) power control allows adjustment of the curing temperature, and the sturdy, lightweight stand provides easy positioning and superior portability in screen printing shops. Tabasco HW™ is an economical, dependable infrared flash cure system for manual screen printing presses. It features lever-lock rotation and floor-leveling pads for easy setup. 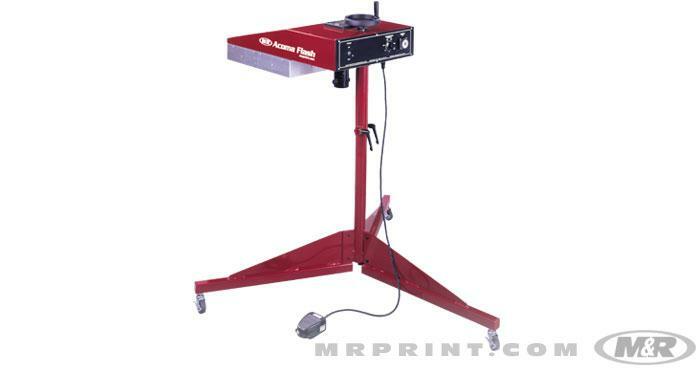 Tabasco HW flash cure units are height-adjustable and completely portable, making them easy to move around screen printing shops. An on/off switch activates the flash cure unit’s powerful and energy-efficient infrared heating element. Tabasco HW features an analog temperature control dial and an efficient, high-powered infrared heating element for faster curing. 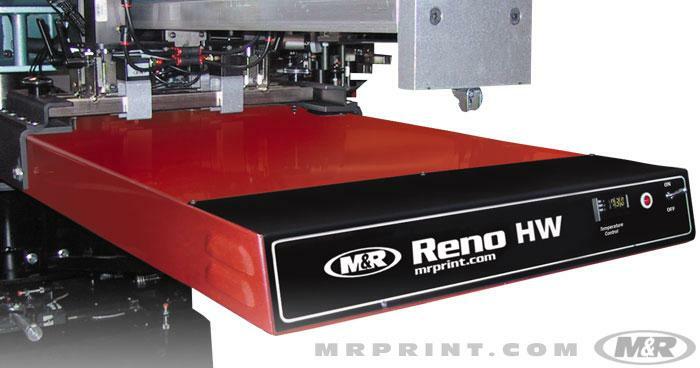 Reno HW™ is M&R’s most economical infrared flash cure unit for automatic screen printing presses. Its press-mounted shuttle design delivers smooth, dependable operation in a sleek, compact package. Reno HW’s digital temperature controller delivers accurate results, and its optional floor stand turns it into a multi-use flash cure unit that will suit the needs of many screen printing shops. With higher wattage for faster curing, Reno HW is an ideal infrared flash cure unit for M&R automatic screen printing presses. The Serrano™ infrared flash cure system uses a smooth AC electric drive and roller-bearing assemblies for dependable performance and long life. The shuttle on this freestanding flash cure unit can be controlled by an optional foot pedal or integrated with the screen printing press through an optional communication cable for automated operation. Serrano features include adjustable stand height, control box cooling fan, power level control, and power indicator light. 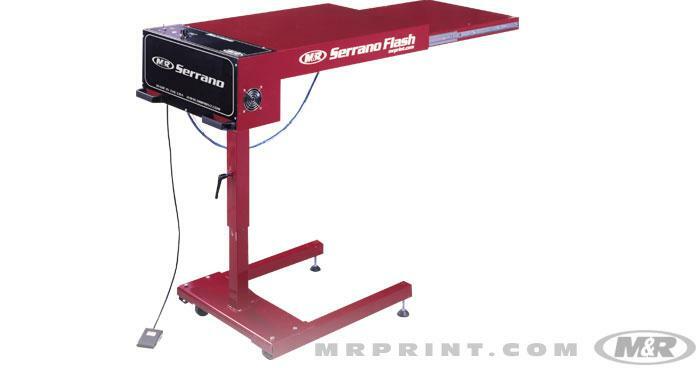 Serrano is a versatile and powerful flash cure unit. The Acoma™ flash cure system’s powerful infrared heat panel with solid-state dwell controller and temperature control dial provide consistent heat settings from job-to-job. Flash curing is made even more effective by forcing air through the radiant panel and onto the substrate. 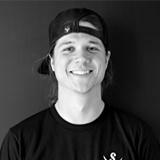 Acoma flash cures’ light weights make them easy to wheel around screen printing shops. 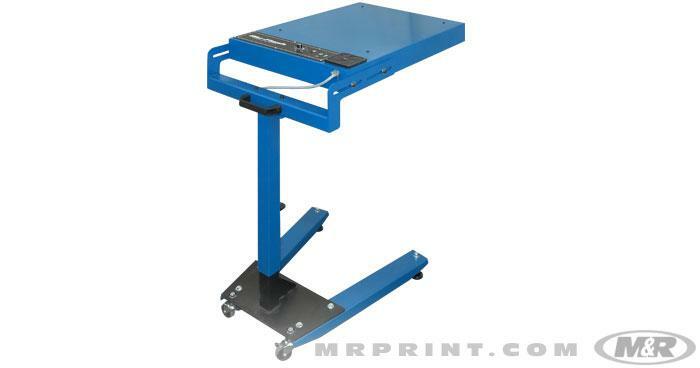 The adjustable stand and panel assembly has 120° swivel movement to provide clearance for even oversized screen printing pallets. Acoma features foot-pedal/timer control for smooth, easy operation and consistent repeatability. 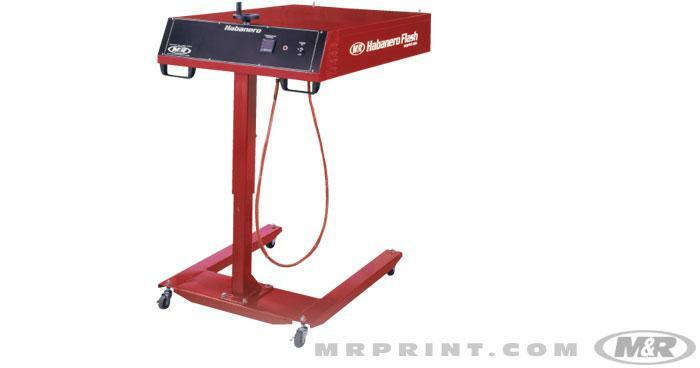 Habanero™ is a fully portable infrared flash cure system for automatic screen printing presses. It features a powerful infrared panel, digital temperature controls, operation indicator light, solid-state circuitry, and a fully insulated panel guard to minimize exterior heat. The sturdy, height-adjustable stand features floor-leveling wheels. Hood-mounted controls give it a sleek, clean appearance. 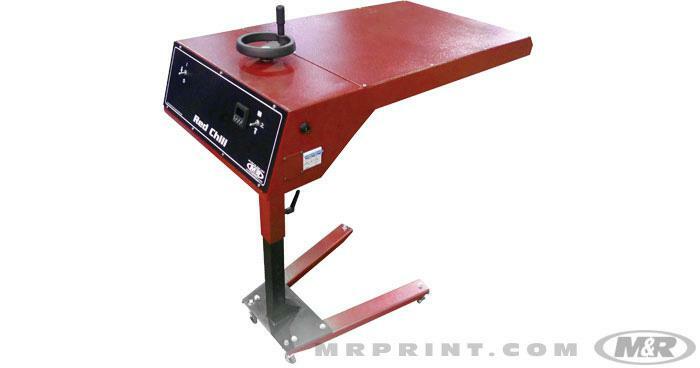 These versatile freestanding flash cure units are easy to move around screen printing shops. 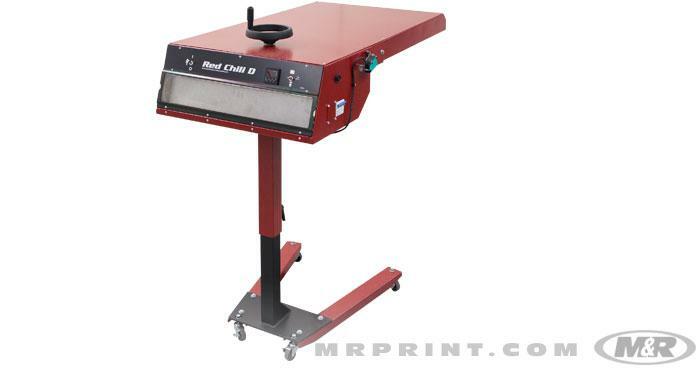 The freestanding Red Chili™ quartz flash cure system uses medium-wave sealed tungsten filament quartz lamps, and it works with both automatic and manual screen printing presses. Instant-on flash cure technology conserves energy by reverting to standby status when the screen printing press is idle, and the curing lamps are divided into three flashing zones, which can be operated independently or in any combination. Using fewer flash cure zones on small screen print areas reduces ambient heat, lowers energy costs, and leads to faster substrate cooling. 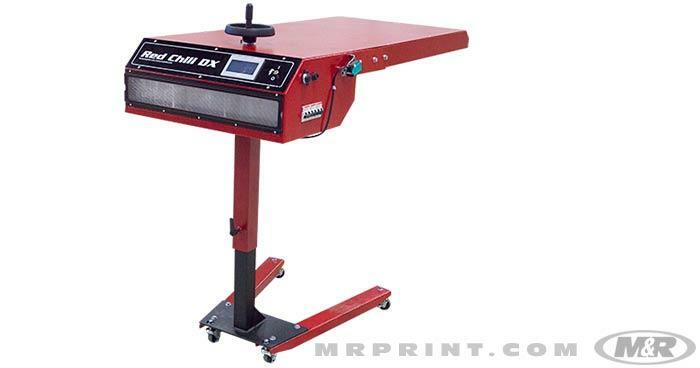 The freestanding Red Chili D™ quartz flash cure system uses medium-wave sealed tungsten filament quartz lamps that feature adjustable intensity, and it works with both automatic and manual screen printing presses. 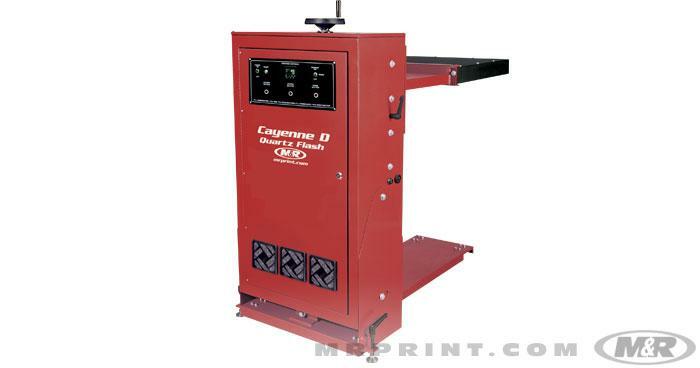 Instant-on flash cure technology conserves energy by reverting to standby status when the screen printing press is idle, and the curing lamps are divided into three flashing zones (except for the 1418 and 1618 models), which can be operated independently or in any combination. Using fewer flash cure zones on small screen print areas reduces ambient heat, lowers energy costs, and leads to faster substrate cooling. The freestanding Red Chili DX™ quartz flash cure system has numerous sophisticated features that can be operated directly from newer compatible M&R presses (Challenger III, Gauntlet III & Stryker). Those features include flash duration, power level, temperature sensor, and programmed individual multi-function settings (recipes). Red Chili DX uses medium-wave sealed tungsten filament quartz lamps with adjustable intensity. Instant-on flash cure technology conserves energy by reverting to standby status when the screen printing press is idle. Cayenne D™ is M&R's most sophisticated and versatile freestanding quartz flash cure system. Its medium-wave sealed tungsten filament quartz lamps feature adjustable intensity, and its instant-on flash cure technology conserves energy by reverting to standby when the screen printing press is idle. The digitally-controlled curing lamps are divided into three flashing zones that can be operated independently or in any combination. Using fewer flash cure zones on small screen print areas reduces ambient heat, lowers energy costs, and leads to faster substrate cooling.